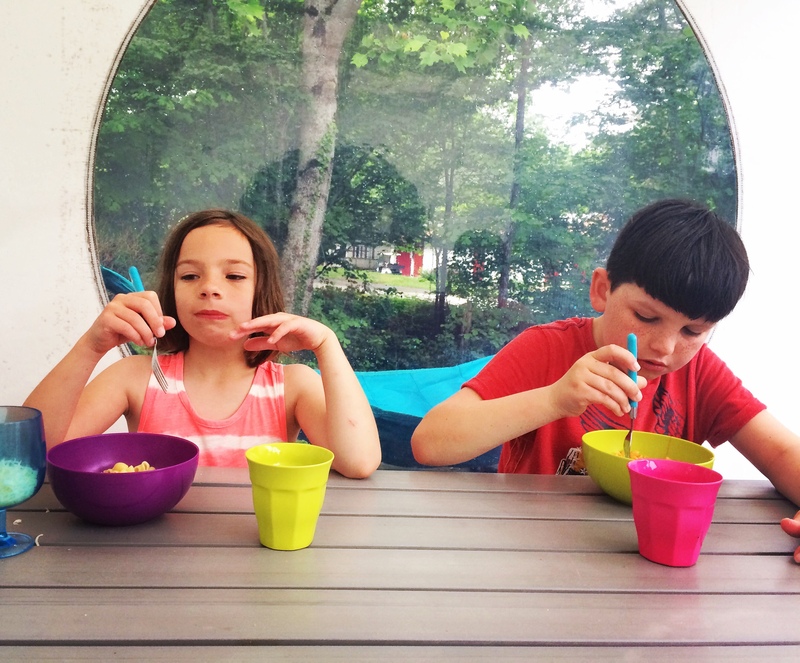 Glisten Camping is more than just a Glamping brand…it’s a whole concept. Focusing on offering guests the opportunity to engage with their natural surroundings whilst enjoying the comfort of a unique and modern living space Glisten takes Glamping to the next level. 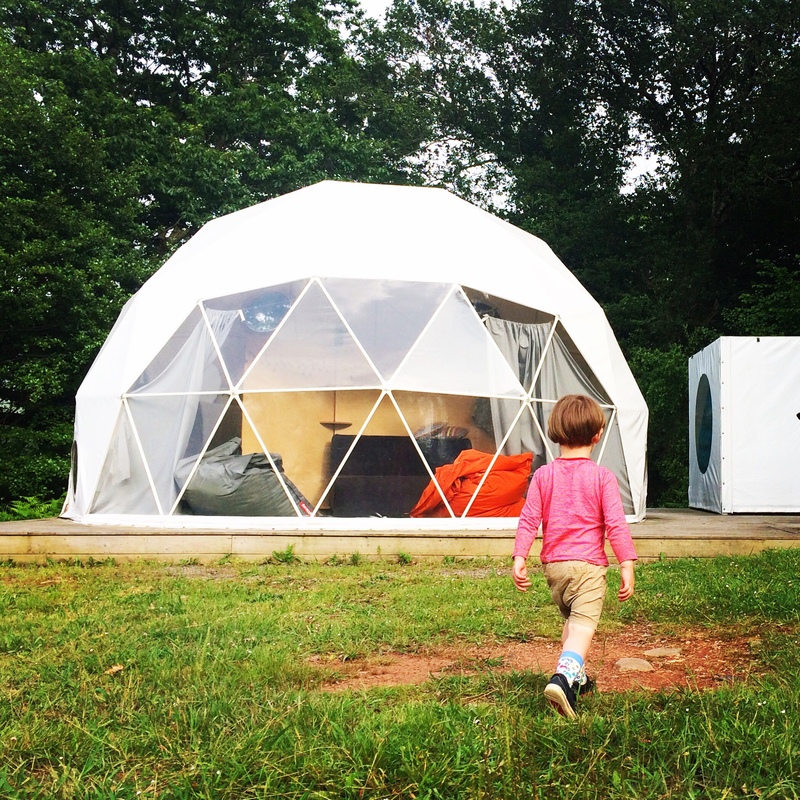 The company currently offers 10 custom built geo-domes situated at the foot of the Pyrenees in the South West of France. 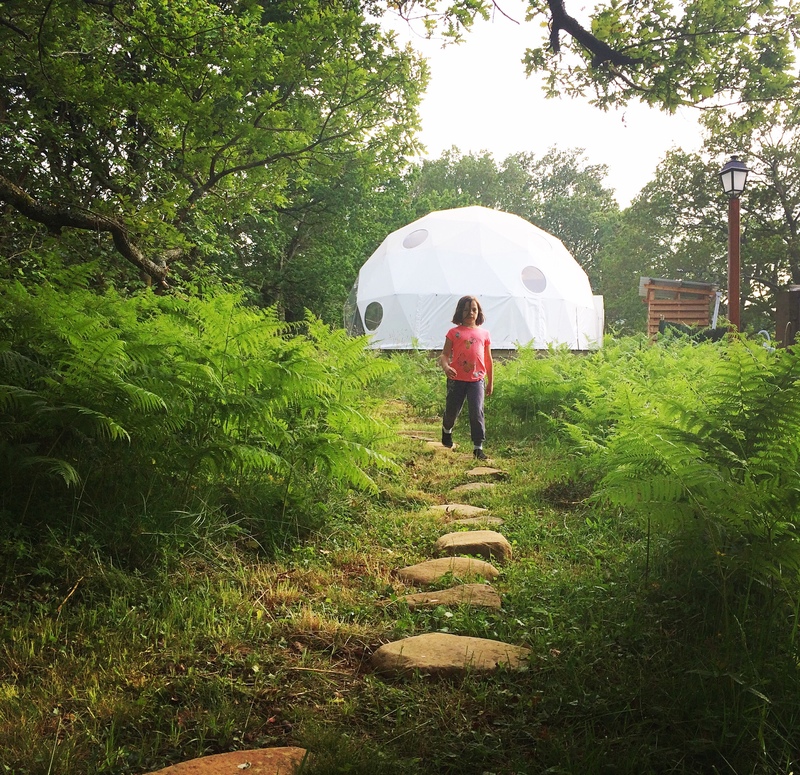 Simon Thomason, the brains behind Glisten Camping, searched extensively across France to find the right location for his domes offering the perfect balance of a peaceful and naturally striking environment, whilst still providing guests with fantastic facilities. 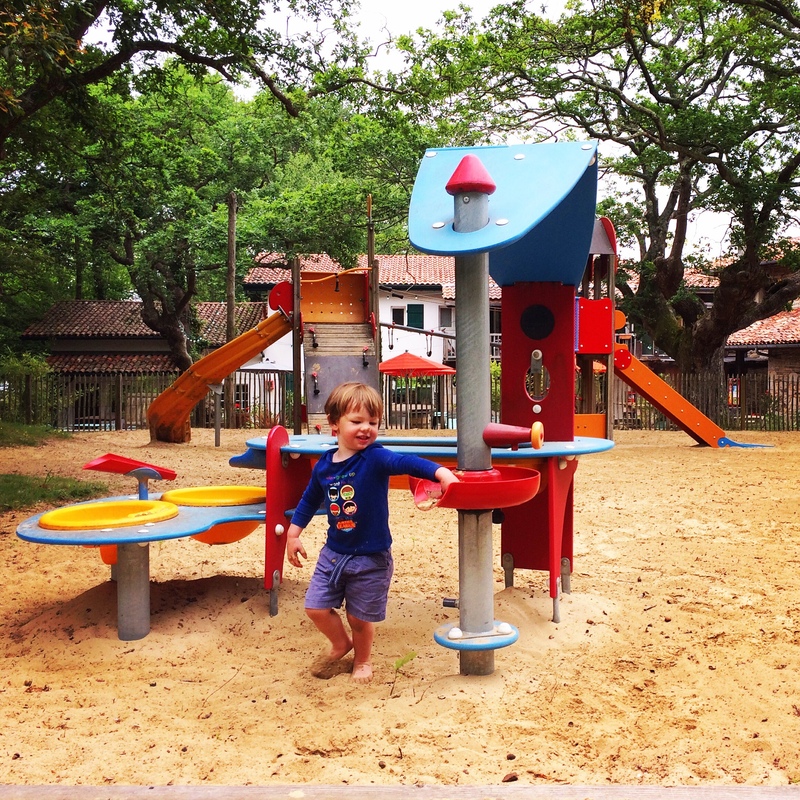 He found the ideal location at Sunelia Col d’Ibardin, which despite being reasonably small in terms of French campsites offers great facilities with 3 pools, a well equipped play area and an attractive bar and dining area. 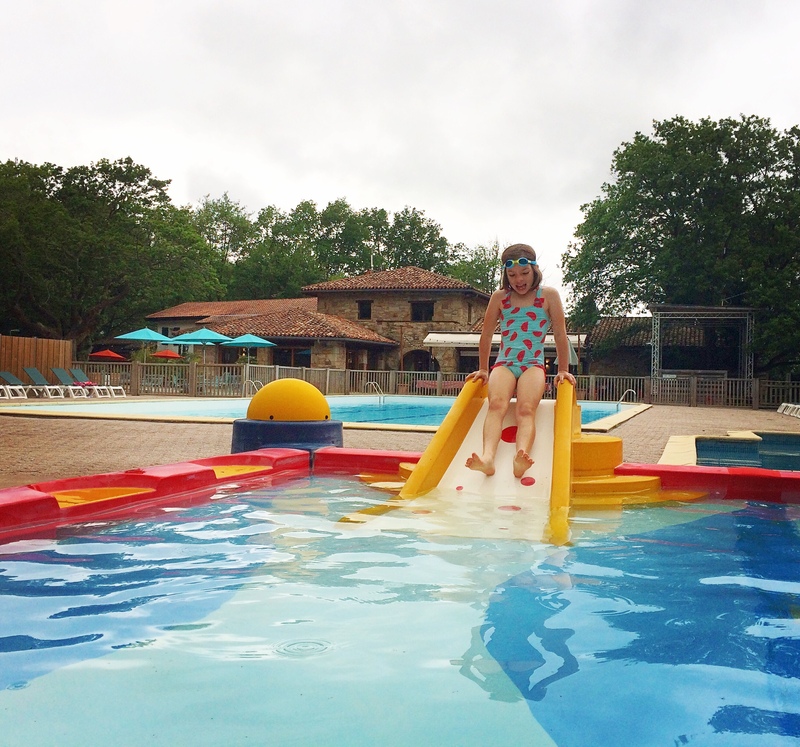 We visited Glisten Camping during our May Half Term break and found our stay a unique and memorable experience for the whole family. 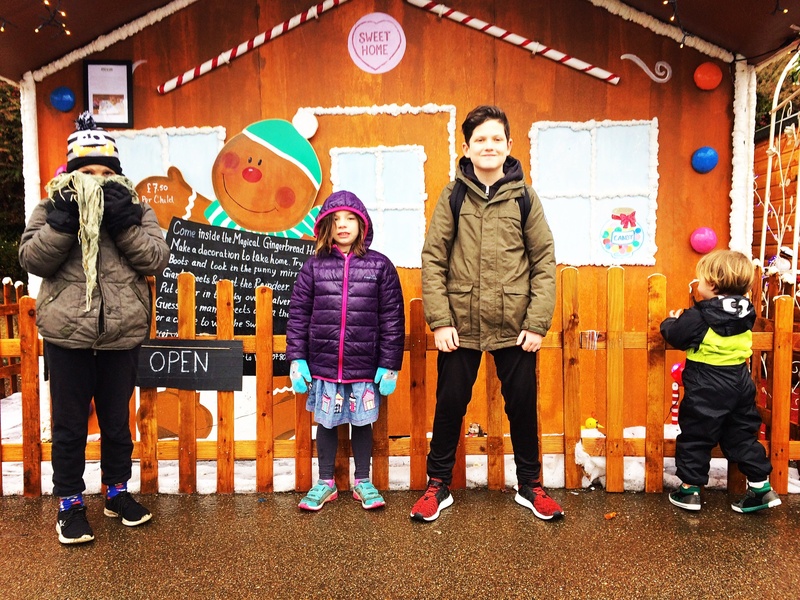 The children relished in the freedom of the outdoors whether relaxing around the dome or making the most of the on site facilities. 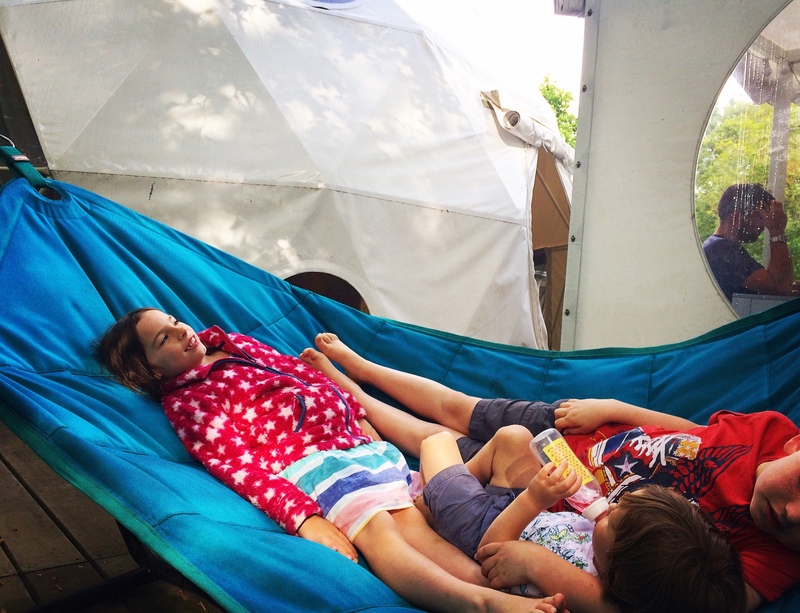 We adults loved the ease of this laid back version of camping, benefitting from all the joys of holidaying outdoors but without any of the stresses. 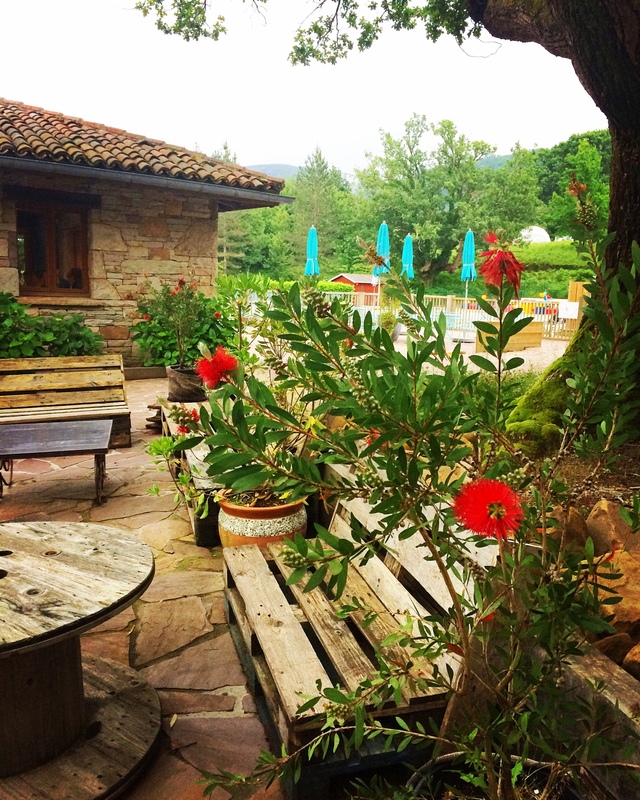 Simon explains why he believes Glisten Camping is different to other Glamping sites: It’s down to our focus on a contemporary but fun luxury camping experience. Everything is about making that connection to the outdoors fun in well thought out spaces. 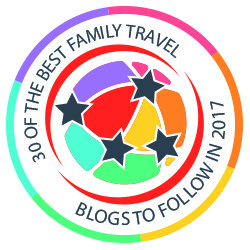 The accommodation and also the bespoke elements in the domes (hangings beds, bean bags, giant hammocks) and the alfresco kitchen (plancha grill) are to be enjoyed by families of all ages. 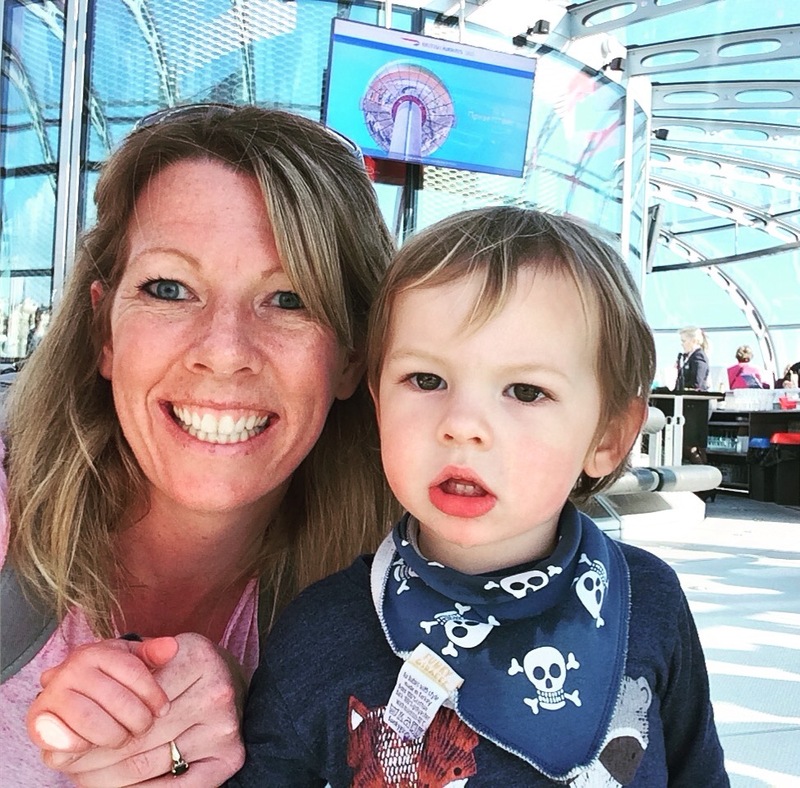 In case that wasn’t enough to guarantee a totally stress-free experience Glisten have allocated excellent onsite staff in the form of hosts Simon and Sue. These guys were fantastic from the moment we arrived through to the very end of our stay. They offered tips on where to dine and where to get the best shopping deals, they provided us with maps and guides for our day trips, they checked in with us at least once a day…and most importantly were there in our hour of need when we ran out of bin bags or were in need of clean bed sheets. 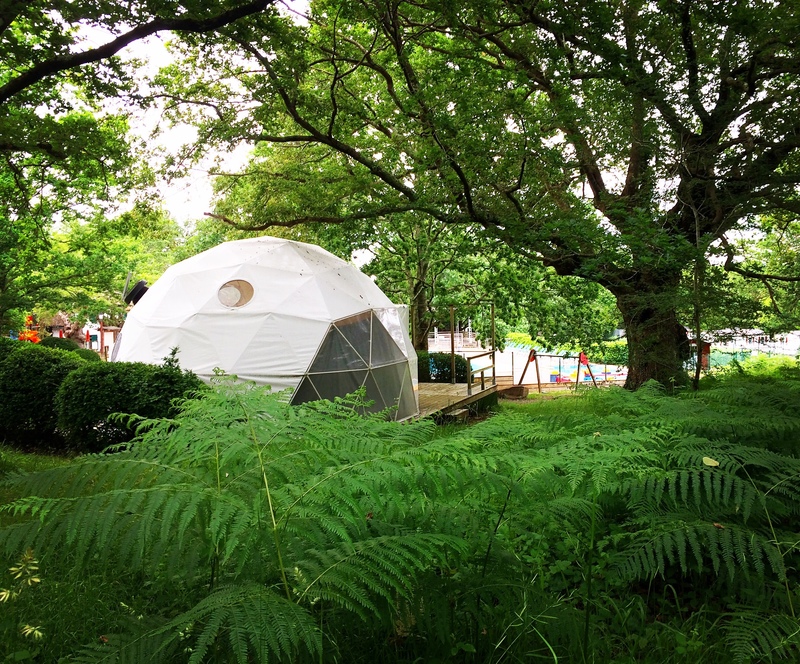 The domes themselves stand out amongst their green surroundings like cosmic space bubbles, the overall design being eye catching, yet calming and incredibly appealing. Their striking shape makes them structurally rugged and weather-resistant with the high ceilings giving a welcome sense of space and light. The interior has been laid out to create a spacious and practical living space. 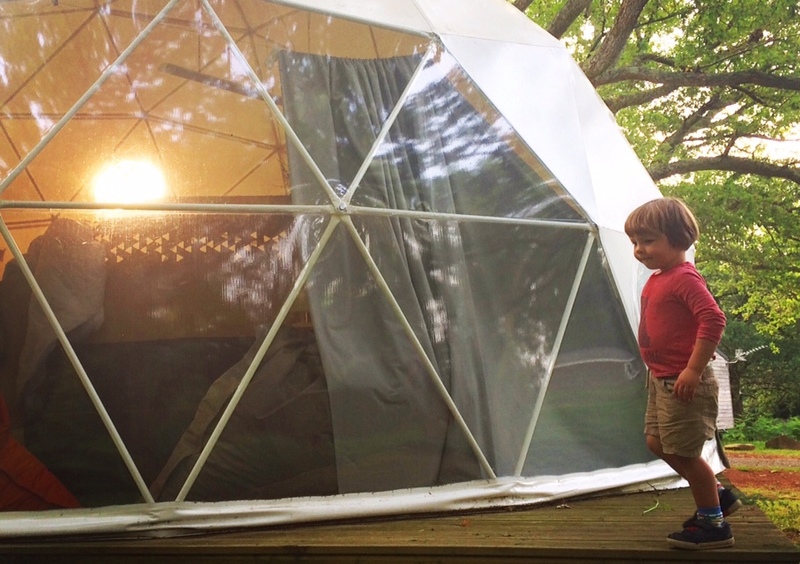 Divided into three main areas each dome contains a children’s bedroom, a lounge area and a double bedroom. Sections are screened off with a wooden partition meaning that privacy is easy to maintain. A standout feature, and huge hit with our children were the suspended kids beds. These cosy sleeping areas are like a cross between a hammock and a nest…and judging by how well our children slept in them…extremely comfortable too! 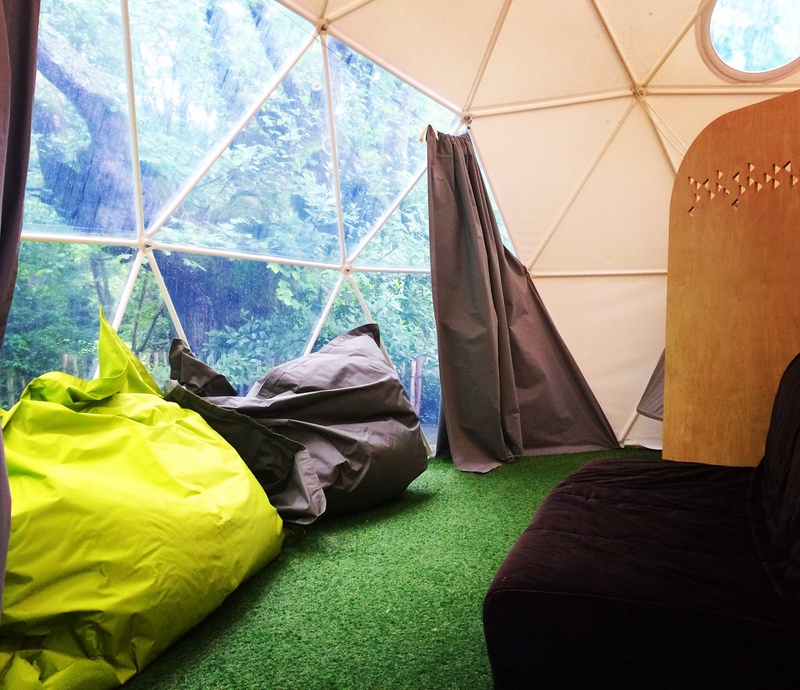 The lounge looks out through the transparent side of the dome offering natural light for reading…or a chance to sit back and watch the day go by. The Fat Boy bean bags provide additional, laid back seating whilst the sofa also doubles as an extra double bed. Blackout curtains are provided for the large window ensuring a good nights sleep all round. 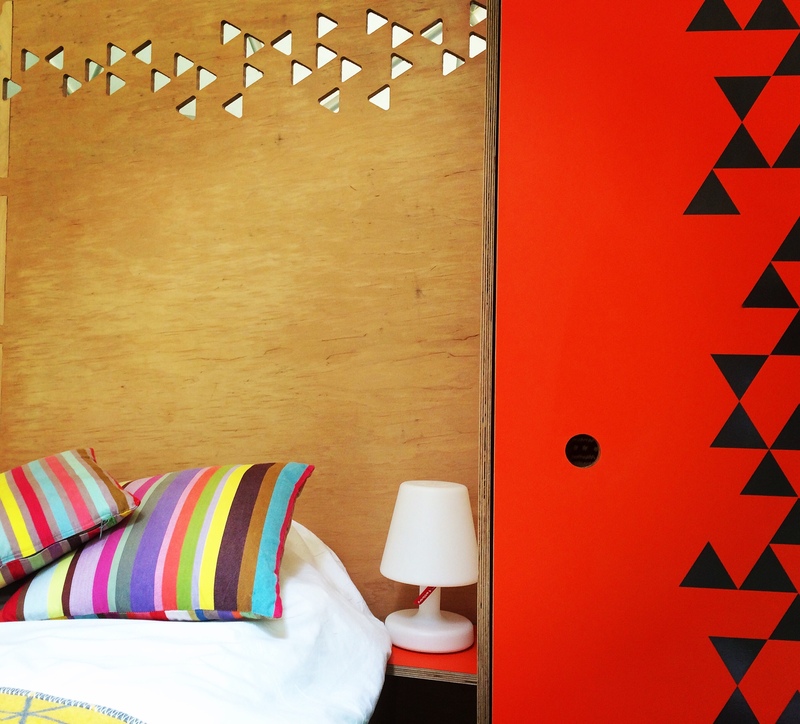 The double bedroom feels more like a hotel suite than a tent; attractive, colourful throws and cushions and a good quality mattress all adding a sense of comfort and style. 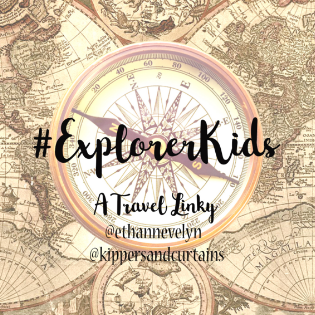 There’s plenty of wardrobe space and storage beneath the bed meaning that the rooms remained tidy and clutter free…and once the sun has set a pair of bright bedside lamps meant we were able to read until our eyes grew heavy. Across the decking just outside of the dome is a well equipped, covered kitchen area. 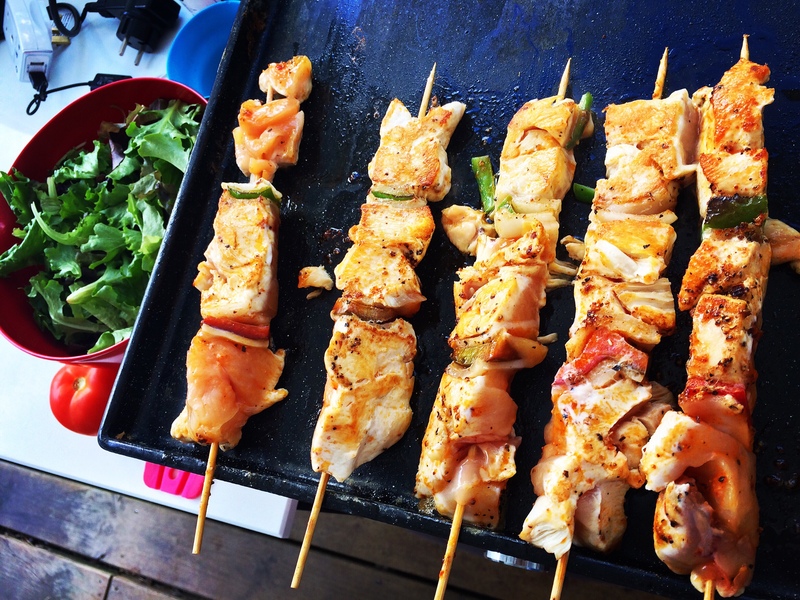 Cooking takes place on a Plancha style grill which heats up quickly and allows you to grill, boil or fry straight onto the Spanish style hot plate. More sophisticated than a BBQ or fire pit, yet still in keeping with outdoor cooking and perfect for experimenting with local dishes! Each dome has been positioned with its immediate environment in mind. 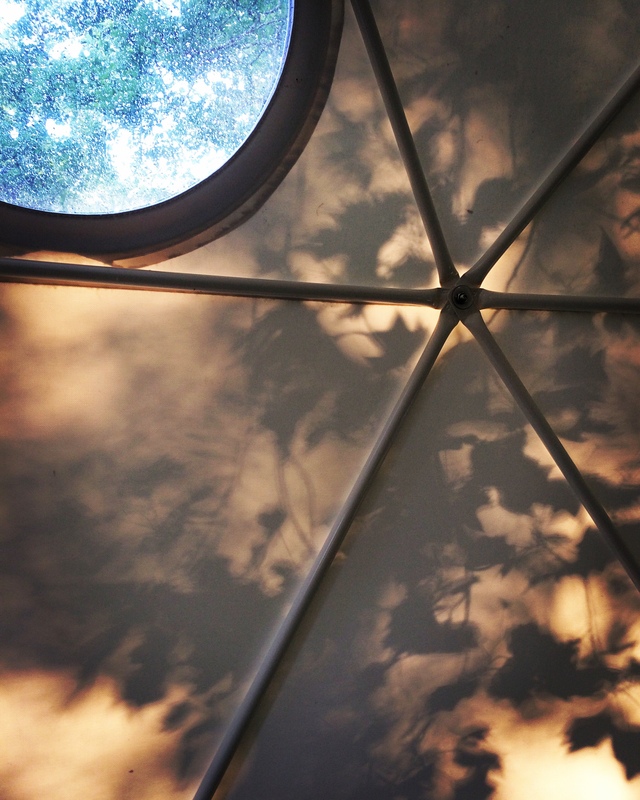 Our dome sat alongside a small babbling stream and sheltered under several large trees. The natural surroundings are as much a part of the site as the living area, the decking and the kitchen tent. The plants, trees and other natural elements all help create a sense of calm and relaxation. 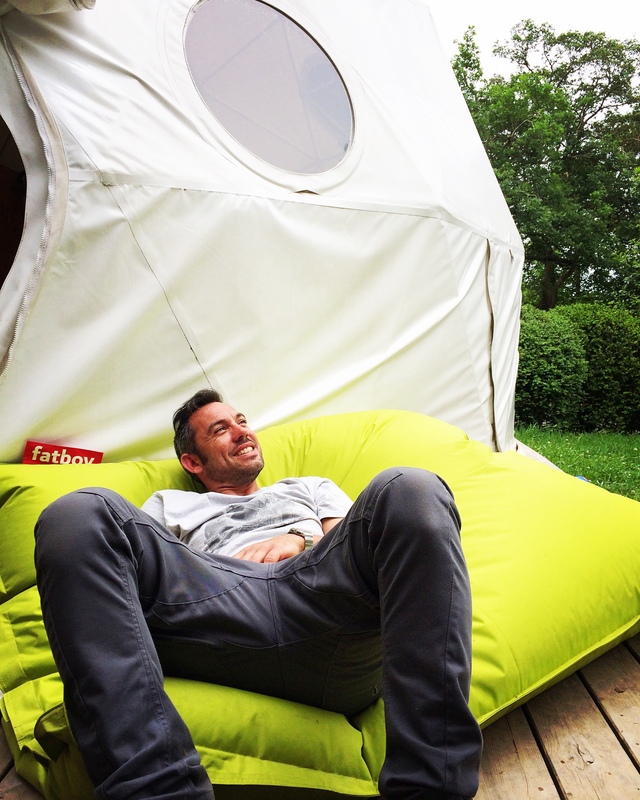 The Fat Boy bean bags and hammock invite guests to kick back and take in their surroundings. We loved spending the hour or two before our evening meal lounging around outside the tent chatting, reading or just relaxing. 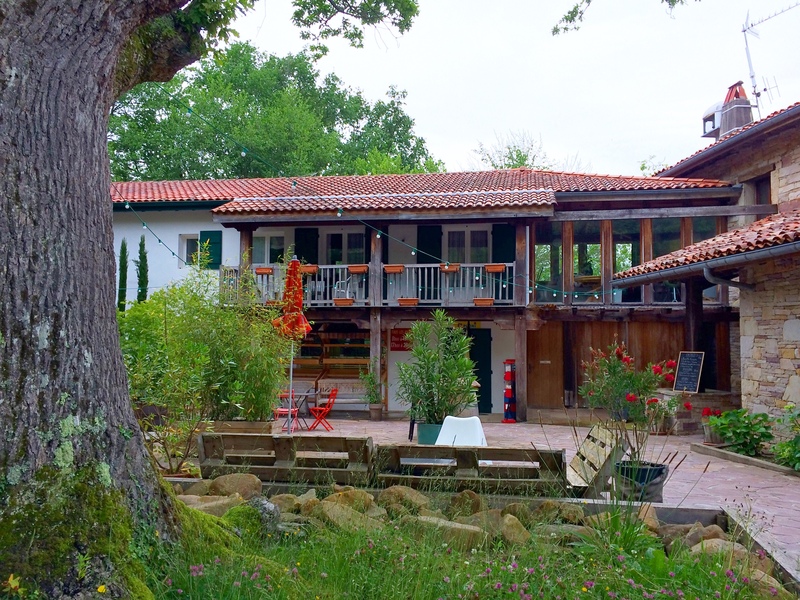 As a site Col d’Ibardin has been laid out to give each pitch plenty of space and privacy. There are a number of different Glamping options available on the site including cabins, Safari tents and pods making it a really interesting place to explore. The children’s play area and pools are next to the bar and dining area meaning it’s easy to keep tabs on the whole family even when there’s a number of different activities taking place. 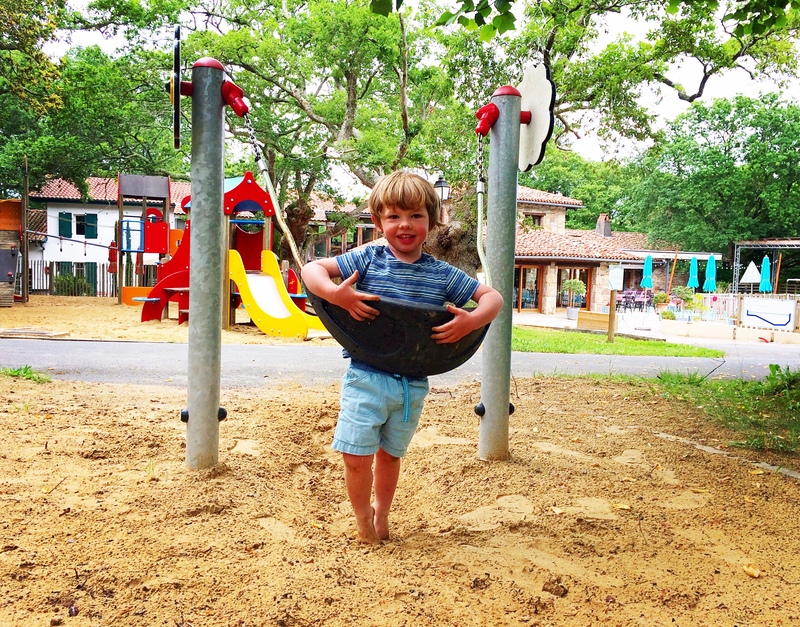 The play ground is well equipped and sits under a number of leafy trees meaning it stays cool even on the warmest of days. 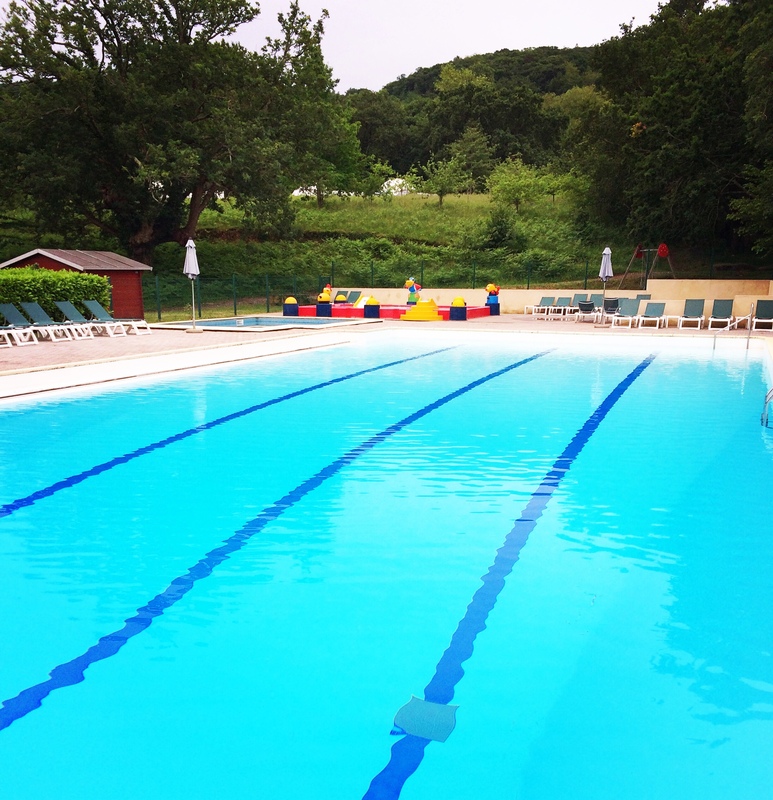 There is a large, main swimming pool with two smaller pools for younger swimmers including a brightly coloured paddle pool with fountains. 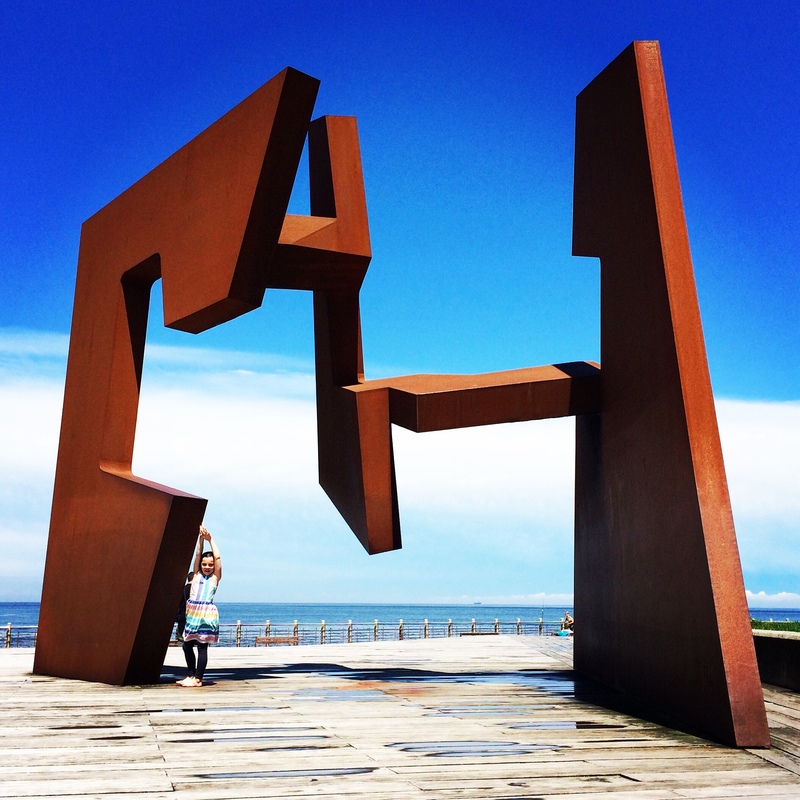 Our children relished in the freedom that staying on a small site allowed them…which in turn meant that us adults were also able to enjoy some time to ourselves. 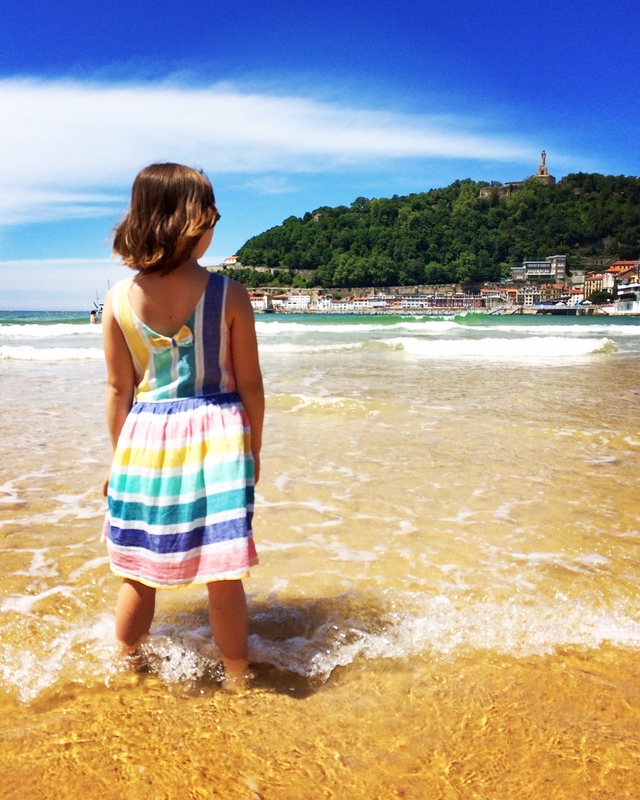 Glisten Camping is in the perfect location as a base to explore the surrounding Basque Country right down into Spain and along the stunning French coastline. We were amazed by how much there is to do just a short drive from the campsite making each day an adventure. Simon has plans to expand the Glisten Camping franchise further maybe even bringing his domes closer to home in the UK in the near future, We’re still looking to build strong partnerships with landowner across the UK particularly in the South West where we would love a flag ship site. In the meantime he’s keeping himself busy with his Glamping consultancy business, We’re receiving lots of interest across the UK but also globally, including Romania, India, Chile and Barbados. We have two very unique and exciting projects in the South West we’re currently working on which if all goes to plan we’ll be up and running this time next year, so watch this space. Glisten Camping really does take Glamping to a new level with the perfect blend of outdoor living, comfort and style enabling families to enjoy the camping lifestyle with all the trimmings. 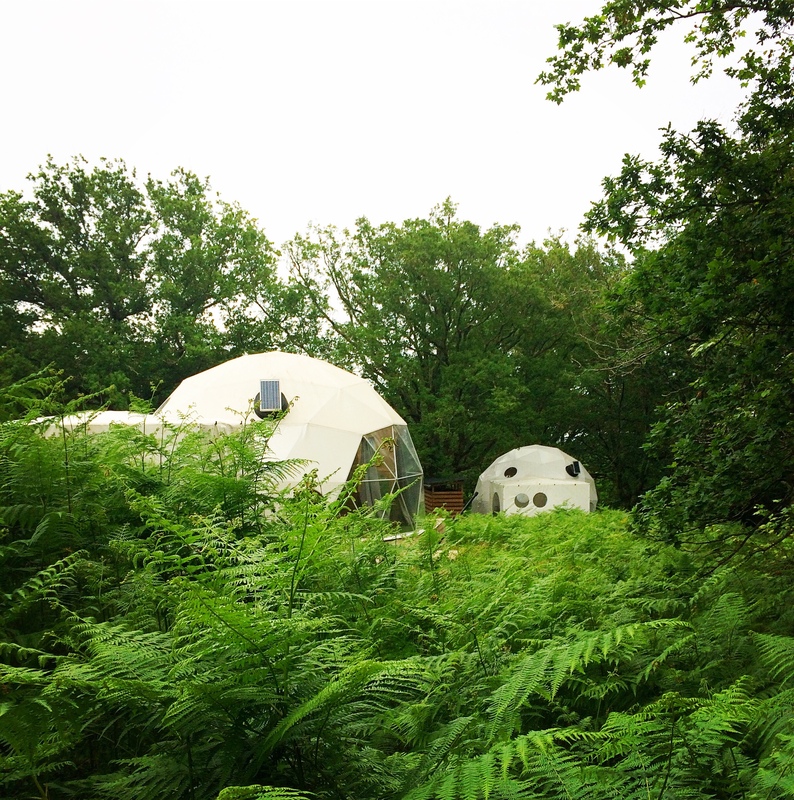 We enjoyed so many aspects of our experience of staying in a dome and I’ve certainly been left feeling much more laid back and relaxed. 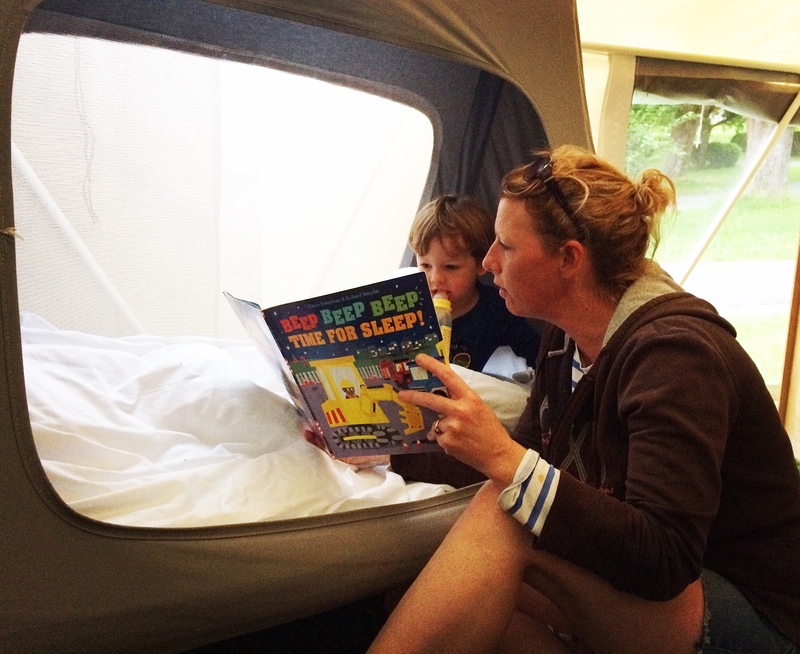 Glisten Camping is ideal for families of all ages who love the outdoors as much as they love a good nights sleep! Disclosure: We received a complimentary stay at Glisten Camping in exchange for this review. All thoughts and opinions are my own. I want to stay there! This looks so good and welcoming and charming, I love it! This place sounds amazing, and very relaxing! I love the contemporary touches such as the beanbags and the grill.